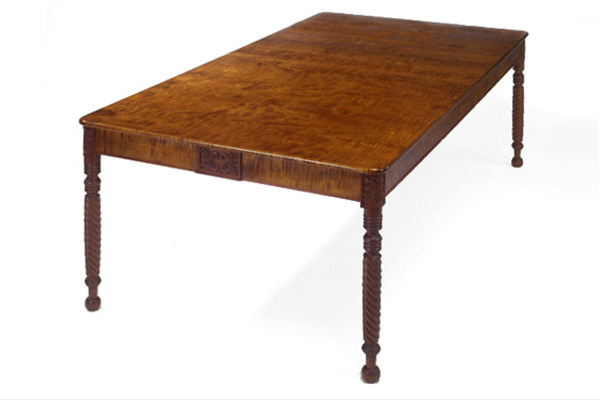 This is a classic curly maple Sheraton style table with leaves. We based the design on measured drawings of an original in a local antique store. Spiral carved legs and end plaques carved by Paul Elliot, Putney, VT. Other woods and sizes available.